As Tahiti is such a far away, unknown and exotic place, Tahiti honeymoon packages are a great way to ensure you have the best Tahiti vacation possible. Many people fantasize about a Tahiti honeymoon long before their wedding date is even set. It's a honeymooner's dream destination! But there's a lot to know before you start designing your own Tahiti travel. There are so many beautiful islands. Which one do you choose? How do you get to the islands? What is there to do? For many of you planning a honeymoon in Tahiti, it's your once in a lifetime opportunity to visit French Polynesia. 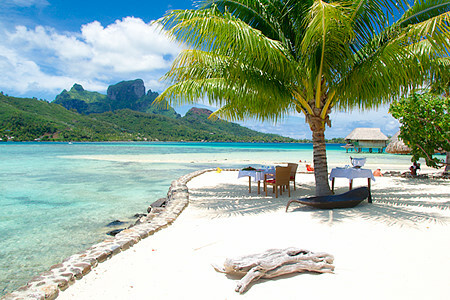 You're keen to make the most of your vacation in Tahiti, and have the best value Tahiti honeymoon your money can buy. To do this you need to have some knowledge and understanding of Tahiti and Her Islands. You will find loads of information and recommendations on our site. 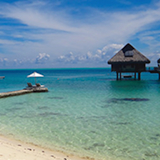 Knowing your options will help you decide what you want in your Tahiti honeymoon so you can choose the perfect Tahiti honeymoon package especially for you. Ready made Tahiti Vacation Package or Design your own? 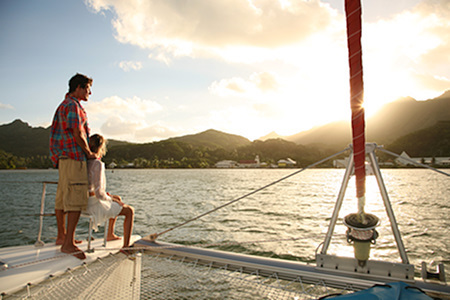 A variety of pre-designed Tahiti packages are available by destination, resort or activities. Honeymooners can select from many available 'ready-to-go' packages or can work with an agent to create the perfect custom honeymoon. Some websites even let you tailor your own package, online, with all their available 'add-ons'. Tahiti is a great choice for your honeymoon for many reasons! Did you know that having your honeymoon in Tahiti will be the best value Tahiti vacation you can have in your life time? The great thing about Tahiti honeymoon packages is that you can bundle in everything and make your whole vacation time away smooth and easy. You might even want to get an all inclusive Tahiti honeymoon package. That way, everything is taken care of before you leave home, and you can truly relax and enjoy your first holiday together as husband and wife. With no hiccups! There are many gorgeous islands to visit in Tahiti and French Polynesia. So find out more about each Tahitian island to help choose your perfect Tahiti honeymoon location. Wanting white sand beaches? Wanting the ultimate remote island escape? Wanting an island with lots of activities and tours to keep you busy? Each island offers something different. Here are the most popular Tahiti honeymoon islands. The resorts of Tahiti and Her Islands are some of the most dreamy, luxurious resorts in the world. They're unique, and will be unlike any other hotel you have stayed in. Over water bungalows are the favorite choice of honeymooners in Tahiti. What is so special about an over water bungalow? They are your own private sanctuary over the lagoon, perfect for a romantic rendezvous. Honeymoons with the one you love only happen once. Grab the opportunity to indulge your sensuality in one of these enchanting villas over the water! 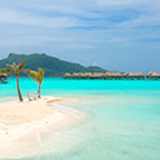 The most popular honeymoon spot in Tahiti is Bora Bora. The resorts here are romantic, tropical playgrounds for honeymooners. Each beautiful Bora Bora resort is special. Choosing one is a not an easy task! Do you want to snorkel from your over water bungalow? Is a view of Mt Otemanu important to you? Or do you want to avoid having too many kids at your honeymoon resort! 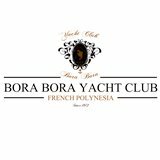 Have a look at the Bora Bora resorts and what they have to offer. 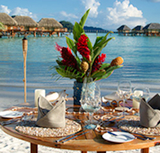 First choose the luxury resort you want to be pampered in for your perfect honeymoon in Tahiti. Next you can look at the packages that are available, consult with a Tahiti travel specialist, or design your own package with the help on this site. Are you an adventure lover? Love hiking? Horse riding? Or a passionate diver? There is a Tahiti honeymoon package for you. If these interests will help make your Tahiti honeymoon the trip of a lifetime, make sure you find a Tahiti honeymoon package that includes them. For example, if the scenery under the water excites you, and you would like to do a lot of diving in Tahiti, choose an island that has plentiful dive sites. Or if you are dreaming of sailing on a yacht with your loved one, and want dramatic places to anchor, there is an island perfect for that! So it's important to find out about each of the islands and what they offer. Make sure you select a Tahiti honeymoon package on the island that offers the things you most enjoy. Experienced Tahiti specialists put together honeymoon packages specifically for interests and activities that people are wanting on their honeymoon. An all inclusive honeymoon makes the entire holiday as relaxing as possible. Everything is pre-arranged and pre-paid for. 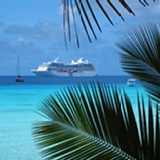 Some of the best all inclusive vacation packages are available on Tahiti cruises. The finest ones include everything from an open bar throughout the ship to on-shore excursions. 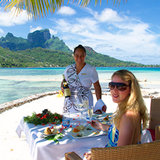 Crystal Cruises and Paul Gauguin offer the best all inclusive Tahiti honeymoon packages. The easiest way to have an all inclusive Tahiti honeymoon package for stays at Tahiti resorts is to work with a travel agent. You can either choose from a pre-designed, all inclusive honeymoon package, or create a personalized one with an agent. Do a little homework to decide what you want to experience. This will help you to know what to ask an agent to include in your honeymoon package. Perhaps you are like me and get satisfaction from making arrangements yourself. The savvy information on this site will assist you in knowing what is available, identifying your preferences, and enable you to confidently plan and book your own honeymoon package. Find out more about a Tahiti honeymoon and start planning, so you can have the trip of a lifetime.